Zion Canyon, from the Middle Emerald Pools Trail. Stunned me then, stuns me now. I stood in that same spot and took that same photo just a little over a month ago! Gosh! I wish I was back in Zion! I think I left a piece of my heart there! A beautiful place–I use to live near there. 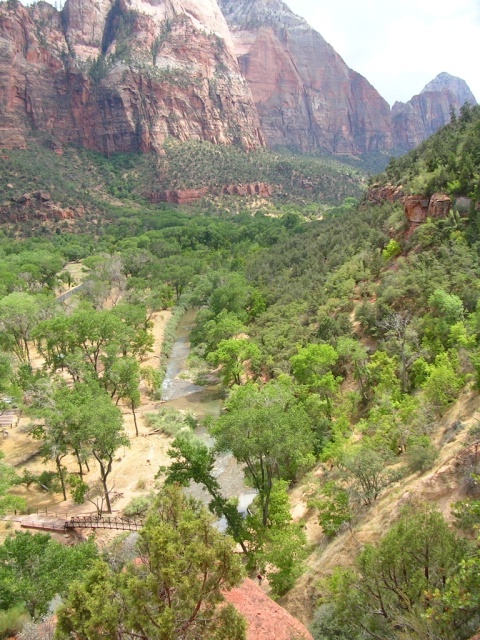 Did you climb Observation Point or Angel’s Landing?